what is with hsg mean ? This water pump comes with the housing. Orders have shipped quickly and were as described. Will continue doing business with Crowley. Ordering was easy and product arrived intact and in great time. Very fast parts shipment,will definitely use again.Fair shipping charges. 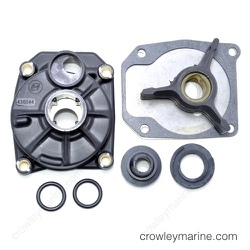 Excellent source for OEM Evinrude parts. Easy to find parts needed with the provided assembly drawings. Everything I needed was in stock and shipped fast. 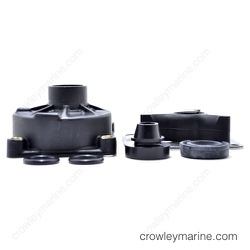 Local marinas didn't have the parts I needed, Crowley had them and shipped quick. 2 thumbs up!! Great. Easy to shop on line and I got the part in just a few days. Easy repair. I never did this before and had it done in less than 30 min. Motor works great. Very easy to deal with. 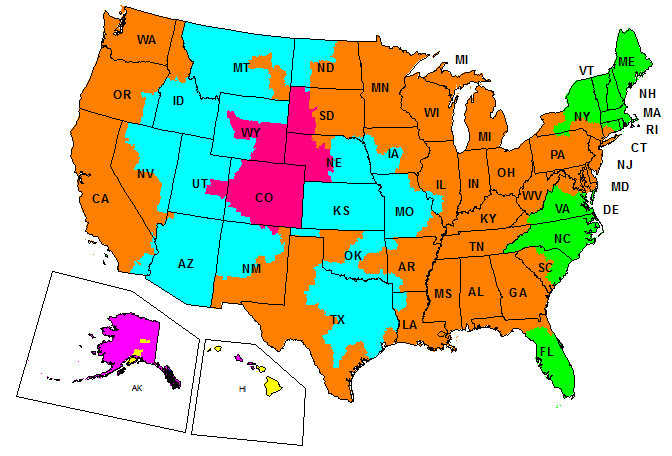 I had previous dealer knowledge so I am familiar with the ordering format. Had an underwater impact on the prop and shattered the clutch dog. Pulled bearing carrier and gears out and removed prop shaft. I replaced the clutch dog, retainer pin and retainer spring. I then resealed the lower unit and put all parts back together. She shifts like a Ferrari now. Quality product and timely delivery. My motor is shooting water out like crazy! Checked out You Tube videos showing how to change the water pump on my motor. Unfortunately the motors weren't exactly the same and we disconnected some linkage we would not have needed to mess with. Getting it reconnected was the problem (large hands in a tight area). On this motor to get to the shift shaft, we ended up removing the starter and then had easy access to the linkage. This job would have taken us two hours or less had we not got sidetracked from the start. The motor now pumps water like a Firetruck. No problems ,parts were a perfect fit . Remove lower unit/gear case assembly, remove prop' shaft assembly from case. Found that the splines on prop' shaft, and clutch dog had been damaged possible previously repair job on the cheap . Install new shaft, clutch, shift cradle, water pump, assembly, seals, and gaskets. Pressure test at 11 psi no leaks .Adjust shift rod to manufactures specs' Reinstall lower unit refill with recommended gear lubrication from bottom drain plug . Test ran motor, shifted into forward, and reverse gears engaged with no problems, Prop' rotation correct. Problem fixed: impeller in water pump shot. 1st time ever changing a waterpump on an outboard and did it with the help of youtube. Working great and easy fix. 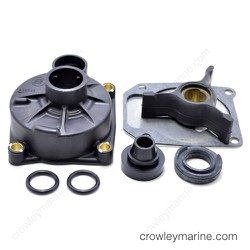 Crowley Marine understands that when a man's boat quits working, the last thing they want to do is wait very long to get the parts. They processed my order and shipped my parts immediately. I appreciate that! Had my boat back on the water by the next weekend and that is important! Excellent- cheaper with freight than buying in Australia. Problem fixed: Fuel coming from fuel pump, motor not been used for 5 years so it needed a major service.